What the hell is this, you ask? Scroll down to find out. 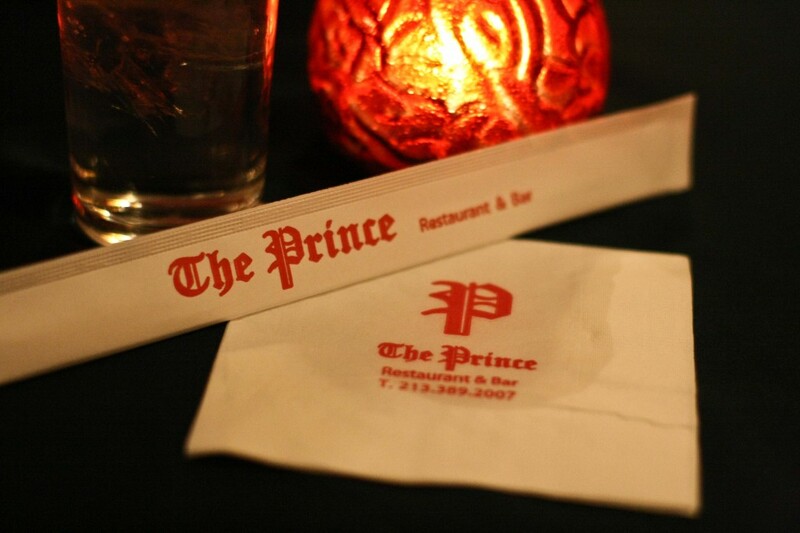 The Prince started out in the 1920’s as a swanky restaurant called The Windsor. If you emptied out all the people, nothing has changed since then. 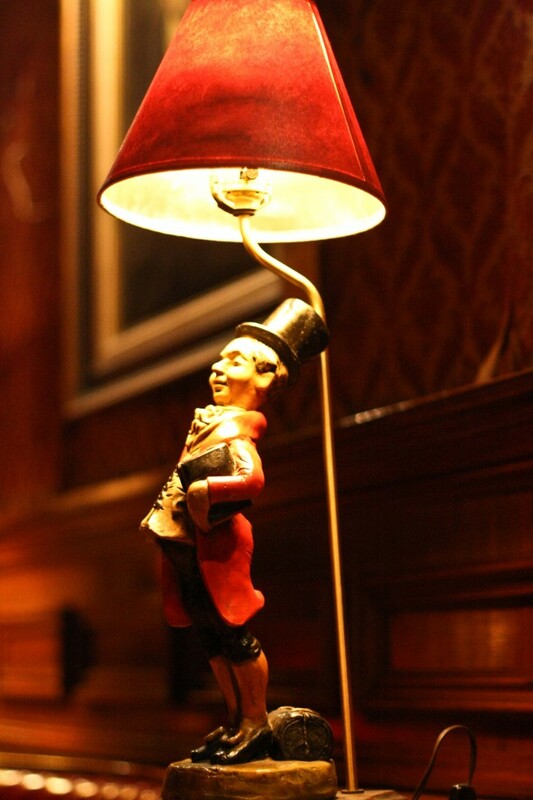 The dÃ©cor is exactly the same. 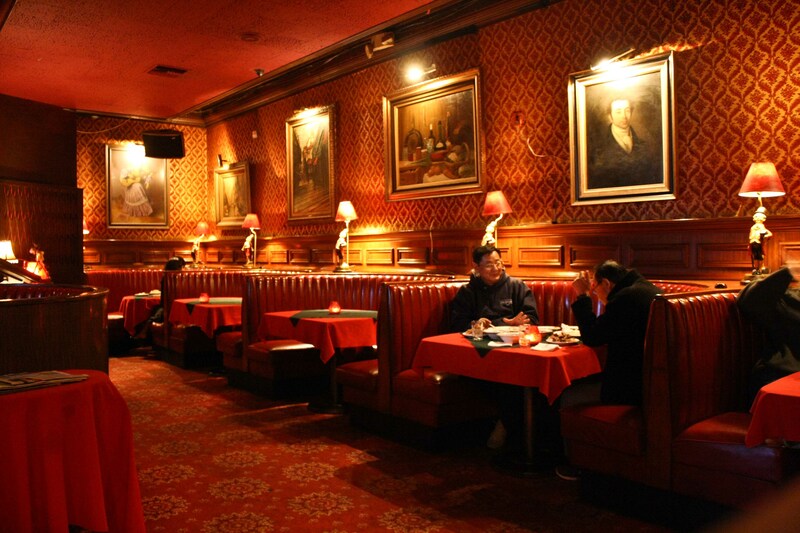 Red leather booths, red and gold walls (the place is very….red) antique light fixtures. The place is a trippy time warp. 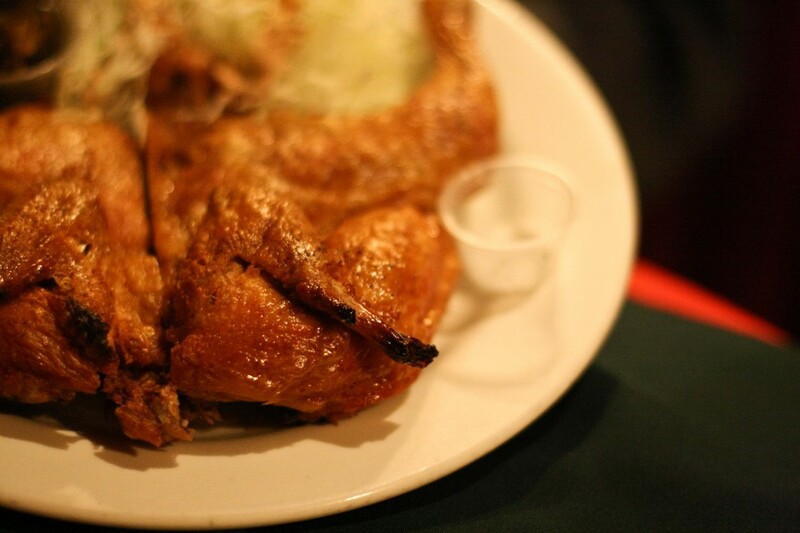 And known for some excellent fried chicken. Chesty Morgan and I arrived for dinner at the unheard of, almost-past-our-bedtime hour of 5:30 pm and were not exactly shocked to find the place deserted. Just how we wanted it. It was Sunday night, we were tired and didn’t want to think too much in order to get fed. 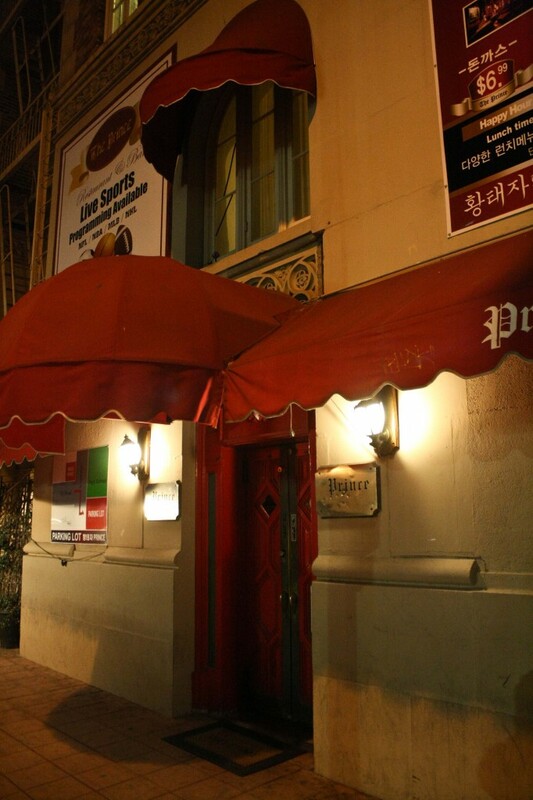 This Koreatown haunt is located in the lobby of an ancient apartment building and be warned that valet is a whopping $2 dollars. 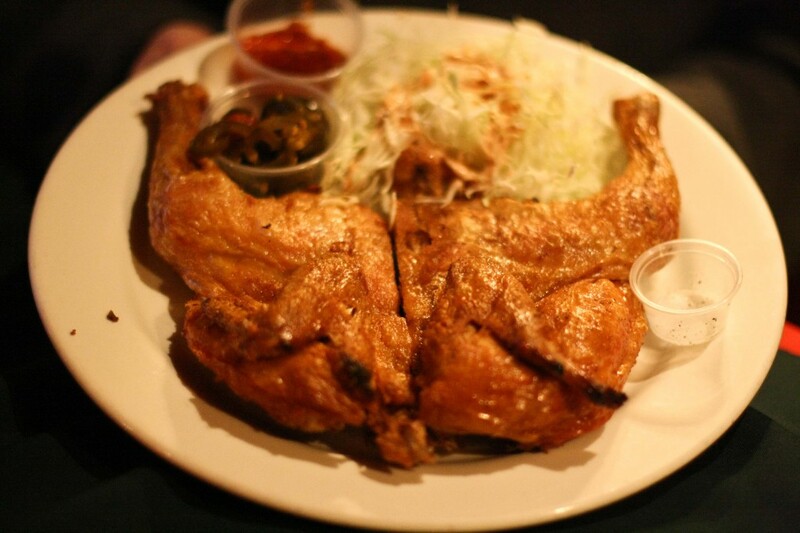 The Fried Chicken (we chose the large, whole bird – under $13 bucks) is not breaded, just thrown in the deep fryer as is. It’s not the meatiest foul you’ll find, but it’s still plenty of food and very tasty. It, and every dish you order comes with a side of ultra-simplistic cole slaw. It’s basically just uber thinly sliced cabbage smothered in French dressing. No complaints here. Just some pondering. How do they get the cabbage sliced so thin?? 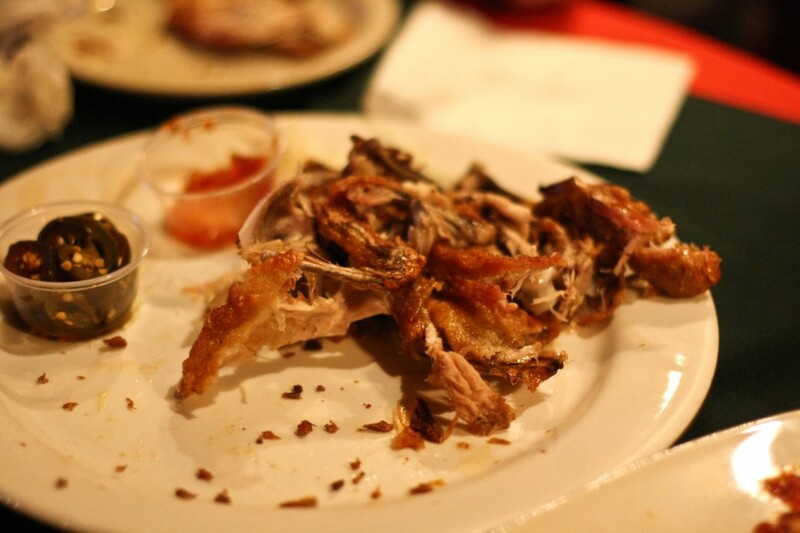 What I really loved was the Spicy Chicken (boneless). 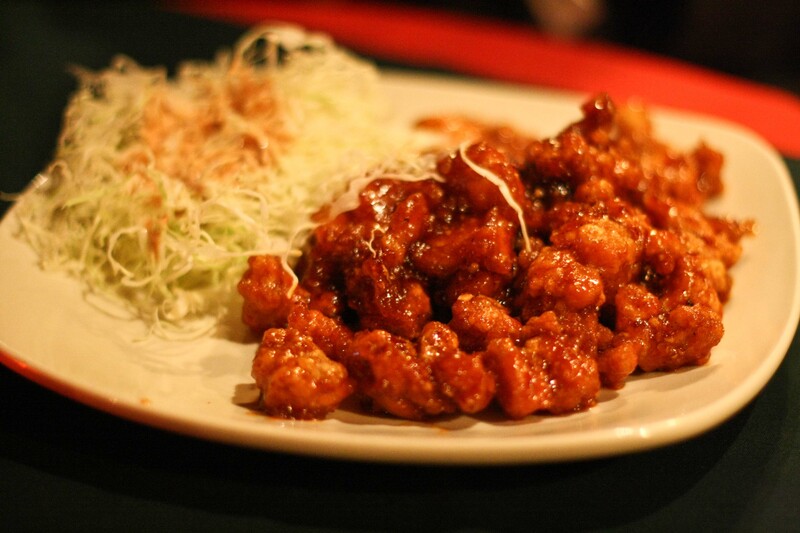 It’s the Korean answer to Orange Chicken except with less breading. Chesty found the flavor/sauce too intense but I found it perfect. 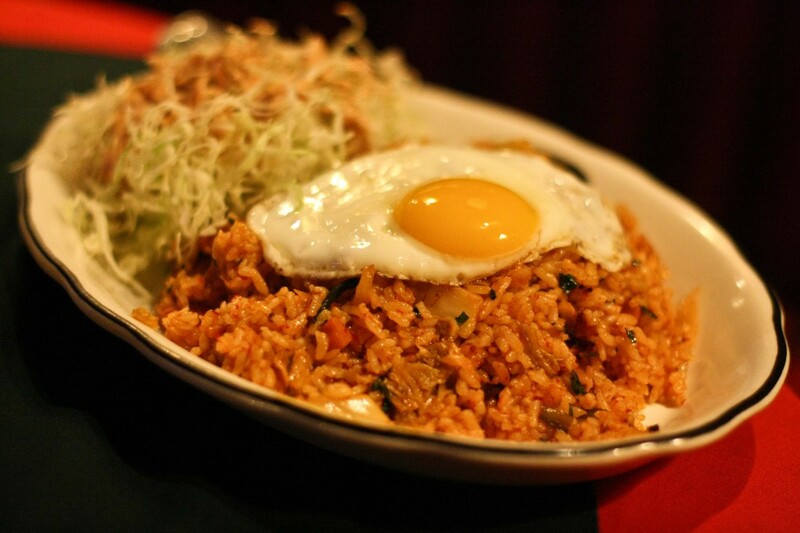 We also shared the Kimchi Fried Rice, which comes topped with a fried egg. We both enjoyed this dish but I thought it could have used a bit more kick. So, I dumped some of the spicy chicken over the top and all was good. It was a typical night for Chesty and I. Early bird dinner with the geriatrics. Enough food for 5 people. All done in about 35 minutes. 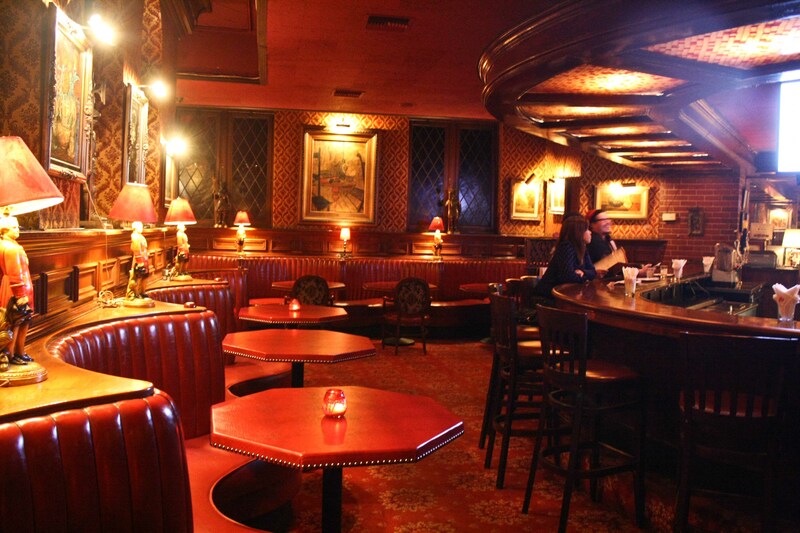 Each booth has a buzzer that you ring when you wish to call your server. For a good time.